The relatively straight-forward imaging chain of a film-based environment has given way to a more complex digital environment that stretches beyond the acquisition unit for processing, storage, and display. Each interface between devices and information systems provides an opportunity for communication errors which could affect the quality of the image or the accuracy of the associated patientencounter information. 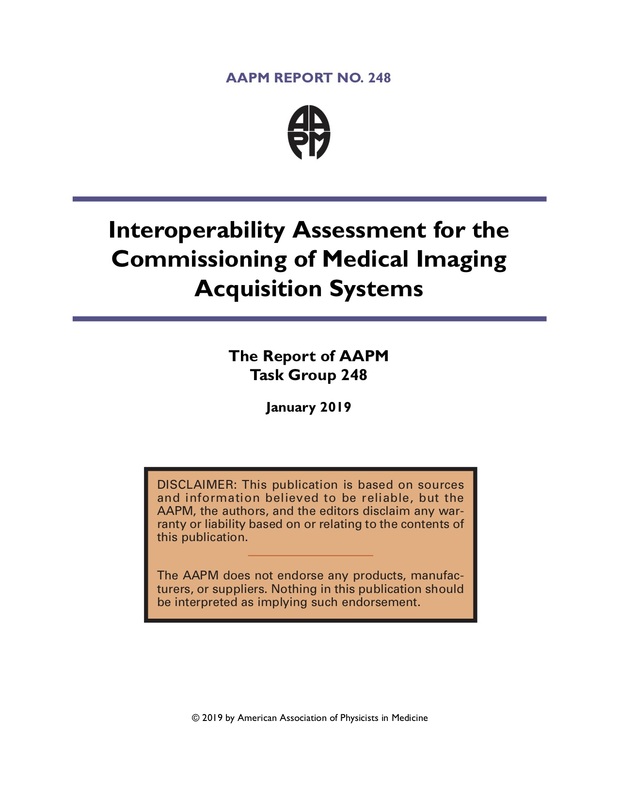 While the development of data and communication standards has allowed for greatly enhanced interoperability, there still remains complexity and variability that can create risk for patient image and information fidelity.